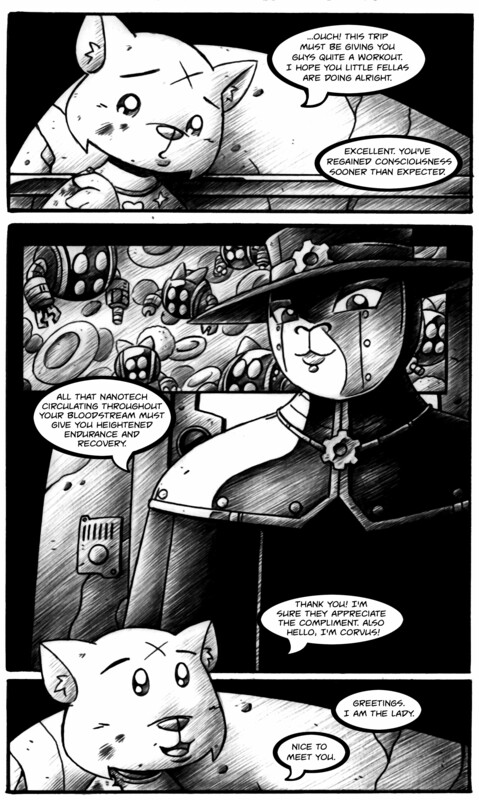 Corvus has been the recipient of some remarkably cute nanotech. Seriously, it’s got kitty ears. I’m kicking myself for not thinking of that. Good one!